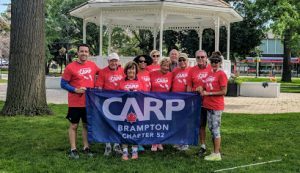 May 26th, 2018 was the launch date of CARP’s Stand Up Straight community campaign. 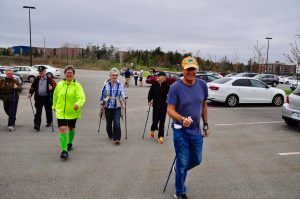 Chapters from across Canada participated in walking activities and will continue with health promotion and group physical activities throughout the year. Distance: Maximum 1.5 KM. All levels of fitness and ability are welcome! 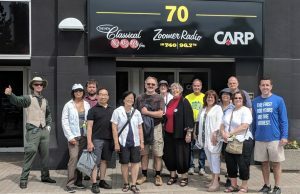 Inviting everyone to join us for a tour of the MZTV Museum of Television www.mztv.com and Toronto radio stations, AM740 (60s, 70s, 80s) and Classical FM 93.3 www.zoomerradio.ca as part of Doors Open Toronto. 10:00 AM – 12:00 PM 70 Jefferson Ave. Toronto, ON. “The Doors Open” tour at the Guild Inn located at 201 Guildwood Parkway, Scarborough. The times are: 10.00 am, 12.00 noon, 2.00 pm, 4.00 pm. Calling all CARP members, family, and friends in Newfoundland Labrador! 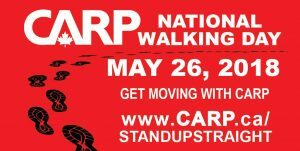 Join CARP NL as we celebrate the kick off to CARP’s “Stand Up Straight” campaign. 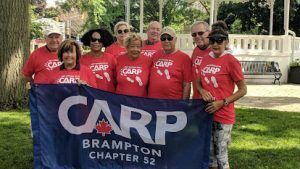 CARP Chapters across Canada are hosting CARP’s National Walking Day on May 26, 2018 (rain date: May 27) to highlight the importance of regular, moderate physical activity for Canadian seniors as the most effective means to improve health and well-being. 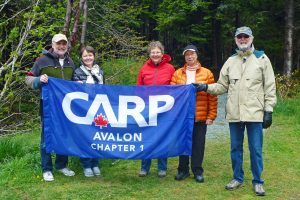 CARP NL will sponsor a champion led walk by Linda Longerich and David Budden on Saturday, May 26, 2018 around the walking trail of Kent’s Pond in St. John’s. The walk will follow a leisurely pace, along a well maintained and low intensity trail. 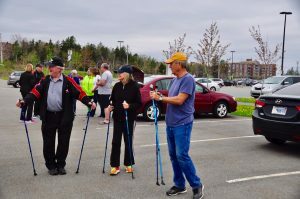 Participants are asked to meet by 10:45 AM, in the far corner of the Confederation Building east end parking lot, directly across from the College of the North Atlantic campus. Wear clothes appropriate to the weather, ensure you have on sensible walking shoes and bring your water bottle. The walk will start at 11:00 AM, there are benches along the route for rest breaks, we will feature a “seek and find” scavenger hunt, and will have some prize giveaways. 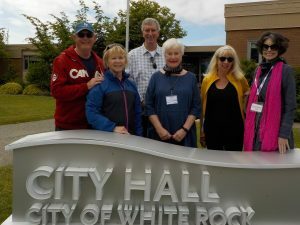 Jane’s Walks New Westminster– organized walks led by community members; starts up in spring. 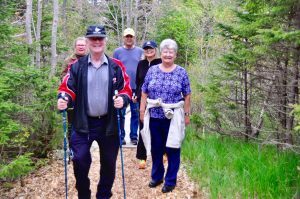 Century House Walking Club – (no web link) – for members of Century House (50+). Meets every Friday at 9 a.m. at the 6th & 6th Royal City Mall entrance. The walk schedule is posted on the Century House notice board. They use transit to access various walks in the Lower Mainland. Step by Step New West – a free 12-week walking program for those affected by Parkinson’s Disease and their supporters. The Cameron Community Walking Group, based out of Burnaby’s Cameron Rec Center (9523 Cameron St), holds bi-weekly walking sessions : Tuesdays 5:30pm and Saturdays 10:30am. Walks are free and all are welcome … to walk a variety of routes on the City’s East side…. all walks are ~1 hour in length. Outsetters : hikes and walks ranging up to 15 km in length, mainly around the Lower Mainland, the North Shore mountains and Sea to Sky corridor. Jane’s Walk Burnaby, BC is organized by the City of Burnaby . To learn more about local Jane’s Walks or to lead a walk, contact the City of Burnaby, Transportation Planning Department at [email protected]. 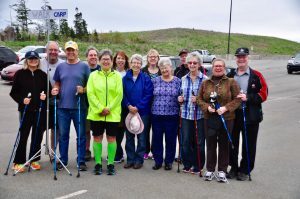 Happy Wanderers Walking Club welcomes all singles 45+ for walks in the Tri-Cities and Ridge Meadows areas; meet every Saturday at 9:15 a.m. Info: Marilyn, 604-463-8874. 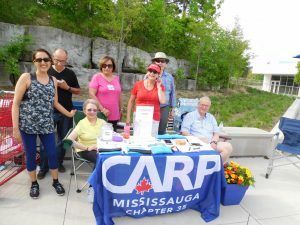 Interested in starting a walking group? 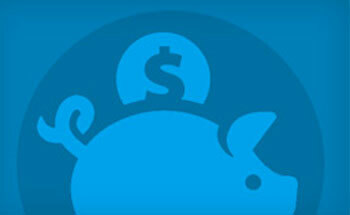 Contact us at 604.927.7983 or[email protected] and let us help you get started. 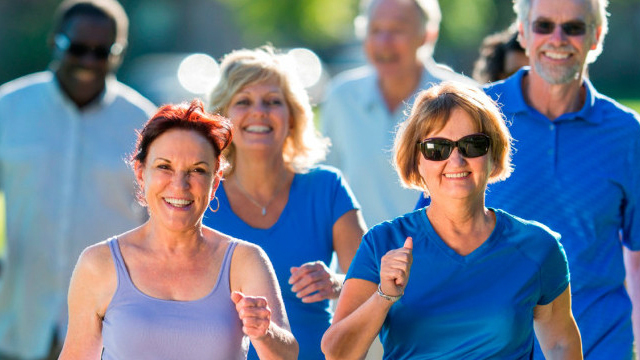 Singles over-45 walking group meets Saturdays, 9:15 a.m. at Pitt Meadows rec centre for walks in Tri-Cities and Ridge Meadows areas. Info: Graham, 604-464 1839. 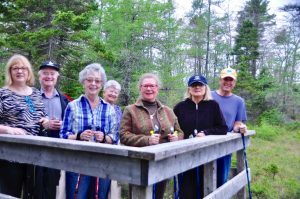 Happy Wanderers Walking Club welcomes all singles 45 and older for walks in the Tri-Cities and Ridge Meadows areas; meet every Saturday at 9:15 a.m. Info: Marilyn, 604-463-8874. Surrey Trekkers Volkssport Club are a non-profit and we have organized walks Wed/Sat/Sun mornings at 10:00 am. 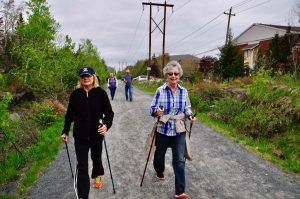 All over the Lower Mainland They have had / will have walks in our area April 2, 4, 8, May 9, 12, 21, 27, ….. First five walks are free, then it’s $1 or $2 per walk. Urban Poling , based in North Van, offers discounts to CARP members.